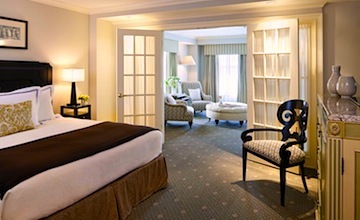 Luxurious Hotel Commonwealth Boston is a top-rated hotel near Fenway Park and Boston University. Located on desirable Commonwealth Avenue, this pet friendly hotel in Boston's Kenmore Square area is also just steps away from beautiful Back Bay, home to Copley Square, many historic attractions, and swanky Newbury Street shopping. 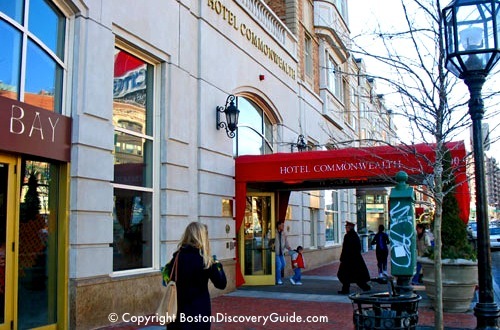 From the gorgeous polished exterior to the plush rooms with Italian linens on the comfortable beds and drop-dead beautiful Italian marble bathrooms, Hotel Commonwealth Boston focuses on providing a luxurious "home away from home" you'll want to come back to again and again. 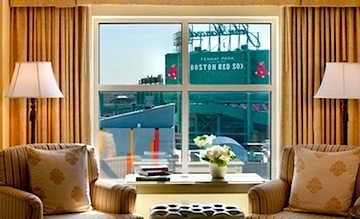 If you're a Red Sox fan, you'll love that the Boston Hotel Commonwealth is just 2 short blocks from Fenway Park. The hotel's 150 rooms and suites range in size from large to larger. Super-comfortable beds feature down pillows and down comforters. Front rooms, shown in this photo, are slightly larger than those at the back. They have nice sitting areas that you can close off from the sleeping area. All rooms have scenic views. If you want to overlook Fenway Park, request a room at the back of the hotel. If you'd rather overlook tree-lined Commonwealth Avenue Mall, request a room in the front. All rooms sport large high-definition TVs, CD/DVD players, complementary wifi, and complementary VOIP phone service. The hotel shares its DVD lending library with you to enjoy during your stay. Dogs will be pleased to know that they are welcome in this pet-friendly hotel. You can also enjoy in-room spa services, as well as the hotel's fitness center. If you're here for business, you can make use of the 24-hour business center. Baseball fans love that just a short walk takes them to famed Fenway Park and all the surrounding sports bars, fun restaurants, and nightlife. You're also about a 5-minute walk from Boston's trendy Newbury Street, filled with boutiques, galleries, and fashionable restaurants. 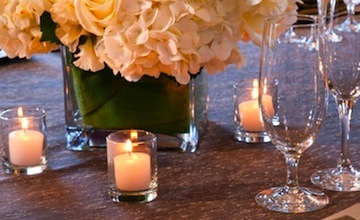 Fashionistas will also love shopping at nearby Prudential Center Shops and Copley Place just a few blocks away. Right outside Hotel Commonwealth's front door is the lovely Commonwealth Avenue Mall, filled with statues and trees. Stroll the length of the Mall and admire the ornate architecture of the Victorian mansions lining both sides. The Commonwealth's location places you in the perfect position to enjoy some of Boston's biggest annual events. On Marathon Day each April, you can watch the runners speed by. 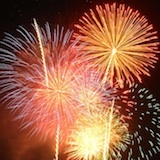 On July 4th, walk a few blocks to the Charles River to enjoy the Boston Pops concert at the Esplanade and followed by fireworks over the water. 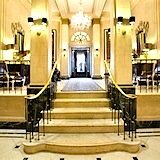 On New Year's Eve, the hotel places you right in the middle of First Night celebrations. If you're visiting colleges as part of your visit, Boston University's east campus lines Commonwealth Ave going west. Other Fenway universities and colleges as well as many of Boston's famed medical research centers and hospitals are also nearby. The Museum of Fine Arts, the Isabella Stuart Gardner Museum, and Symphony Hall are on the other side of the Fens, the lovely park from which Fenway gets its name. If you're visiting in late spring or early summer, be sure to stop by the famous Kelleher Rose Gardens.